In their articles, both Jeffries and Nazeer refer to ‘the Riz test’. 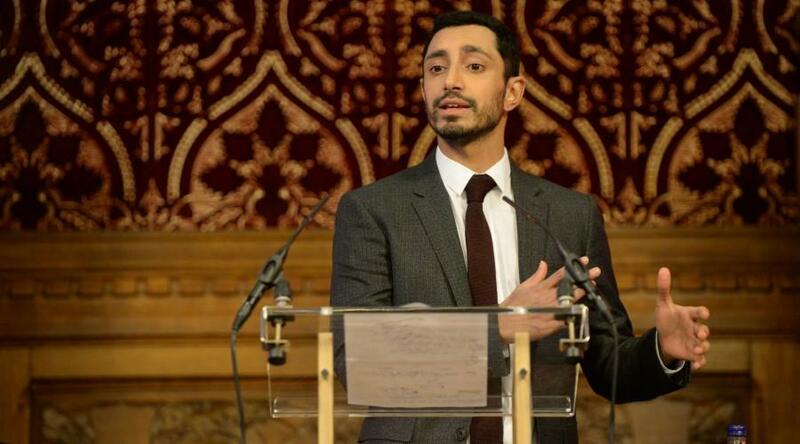 The Riz test came out of a speech on diversity on screen given by British actor Riz Ahmed in a 2017 speech sponsored by Channel 4 to a parliamentary gathering (Fig 4). 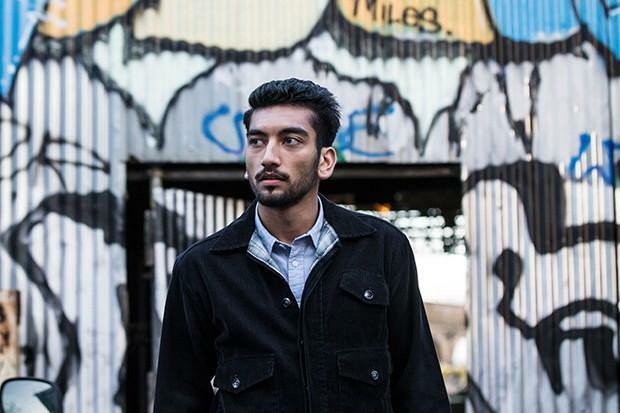 Ahmed himself has had a successful career beginning with the Michael Winterbottom’s The Road to Guantanamo and taking in Chris Morris’ satire on terrorism, Four Lions in 2010 with subsequent success in US film and television. I am greatly enjoying The Informer which seems to pass this test but here I just want to comment on how the Riz test compares with the Bechdel test with which it is sometimes compared. The Bechdel test has entered into the critical vocabulary and provides a measure of gender representation by asking whether a work features at least two women who talk to each other about something other than a man. To my mind, at first, the Bechdel test seemed to have a wit and elegance which the Riz test doesn’t have. It does not address representation of women head-on but it asks for a moment which allows a specific kind of conversation to occur. The conversation may have nothing to do with the narrative drive of the story, it may not involve the central characters, there is no prescription about when or where it may happen. But what the test suggests is that, if this kind of conversation occurs, even as a grace note, then it is likely that the work as a whole will offer a place for its female characters which runs against the dominant female stereotyping. By contrast, the Riz test takes the issue head on and is much more prescriptive. 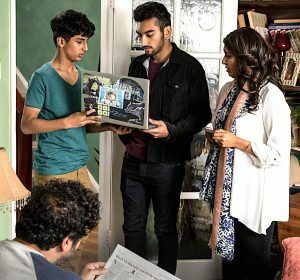 The film/show will fail if a character who is identifiably Muslim (though not identifiable in stereotypical ways) is presented in certain ways. It starts with a nod toward Bechdel since the first point relates to what the character talks about. But then it asks us to take a step back and to look at how the character is presented. In doing so, it certainly moves into the terrain of representation and media studies and raises a number of questions including: who or what is responsible for the presentation, what is the context, should misogyny not be put on screen, should women not be represented as oppressed? These are all important and complex issues and they need to be discussed. But the fact that the Riz test has five very explicit elements means that it is either over-prescriptive or runs the risk of becoming an essay question rather than a quick means of exposing a problem. But then I started to think about why the two tests took such a different form and it seemed to me that, in an odd way, the Riz test takes the complex form it does because the problem is so urgent. The Bechdel test is illuminating but you wouldn’t use it to write to Ofcom or the BBC to complain about the treatment of women in a particular work. But the Riz Test, which can be found on lots of campaigning websites, gives you the means of doing that. 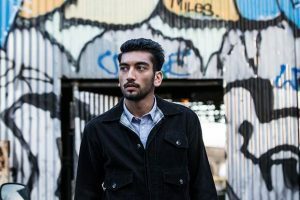 You can submit a report to the The Riz team itself but if you wanted to go further and complain to the BBC about Bodyguard (or to Ryan Coogler about Black Panther (2018)) you could use the Riz elements to frame your comments very directly in terms that the programme makers, commissioners, actors, directors would have to take on board, one way or another. After The Informer finishes, there’s something else to look forward to. 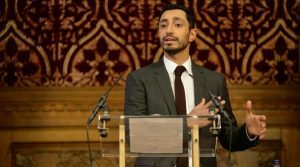 Riz Ahmed, who has endorsed the test named after him, is currently working on a nine-part BBC drama series called Englistan, which will chart three generations of a British-Pakistani family and, as the BBC blurb has it, “re-frame recent British history”. Since he will be casting the parts and hiring other writers it seems likely that this will pass the Riz test. Christine Geraghty is an Honorary Professorial Fellow at the University of Glasgow. 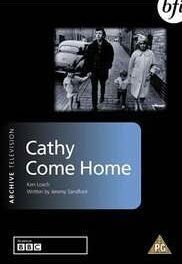 Her publications on television include a contribution to the 1981 BFI monograph on Coronation Street; Women and Soap Opera (Polity, 1991); and My Beautiful Laundrette (IB Tauris, 2004). 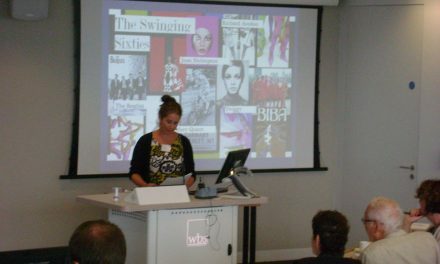 Her BFI TV Classic on Bleak House was published in 2012 and she has continued to make a major contribution to Adaptation Studies. She is on the editorial board of the Journal of British Cinema and Television and sits on the advisory boards of a number of journals, including Screen and Adaptation. Her most recent article on television is ‘What is the Television of the European Journal of Cultural Studies: reflections on twenty years of television studies in the Journal’, European Journal of Cultural Studies, 20:6, 2017. NextCfP: JDMP (former IJDT) special issue “Interfacing public communications in the digital economy”. Deadline: Nov 30, 2018. Hi Christine, I enjoyed your well thought out essay on a very hot button subject. 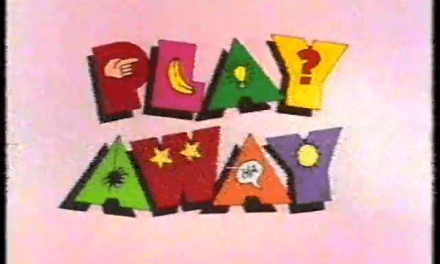 As you know, I have just finished a book about the possibility of television art. I would like to bring up that question in connection with your discussion of Muslim stereotypes on television and the Riz and Bechdel tests, since such tests, applied in advance, that is as strictures imposed upon the creators of television series work only for formulaic writers. Formulaic writers don’t create from an inner vision, but rather engineer their plots and characters to conform with very clear entertainment traditions. Such tests therefore have at least some logical relationship to how formula TV is made. However they present an insuperable obstacle to artists working in the medium as before the fact instructions. I offer this as a consideration complementary to your comments on the prescriptive nature of the Riz test. I would add that the Bechdel test used prescriptively would be equally inimical to the process of a television artist.